The meteorological department has revealed an occurrence of the ‘dust devil’ at about noon at the Afraha Stadium in Nakuru County. A dust devil is a strong, well-formed, and relatively long-lived whirlwind, ranging from small (half a meter wide and a few meters tall) to large (more than 10 meters wide and more than 1000 meters tall). The primary vertical motion is upward. 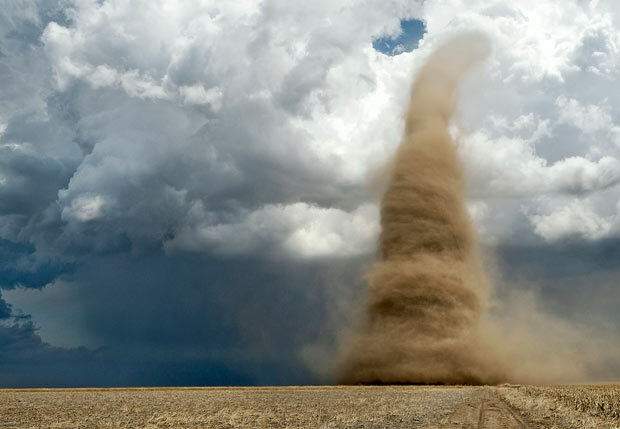 Dust devils are usually harmless, but can on rare occasions grow large enough to pose a threat to both people and property. Recently two children were killed and 20 other people injured after a bouncy castle was blown high into the sky in central China’s Henan province. Dust devil tore the inflatable from the ground at a fairground in Yucheng county. One parent reportedly told local media that she saw children fall from a height of about 20 meters (66ft). A county government official told the South China Morning Post it was unclear whether “human factors” played a role. The post Breaking miracle: ‘Dust devil’ witnessed in Nakuru appeared first on Kenya Today.